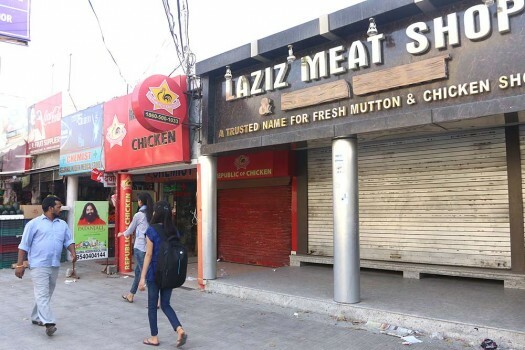 Meat vendors holding a protest against the decision of Municipal Corporation to lockout their shops, in Gurugram. 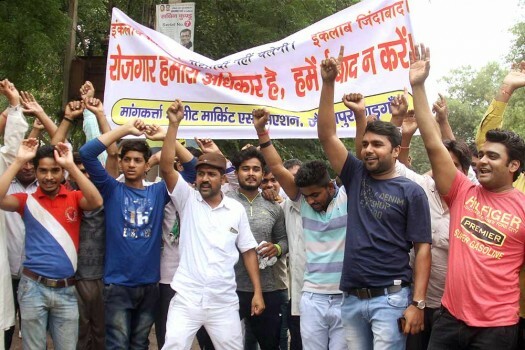 Meat sellers holding a protest demanding for the opening of modern slaughter house in Municipal Corporation area, in Lucknow. 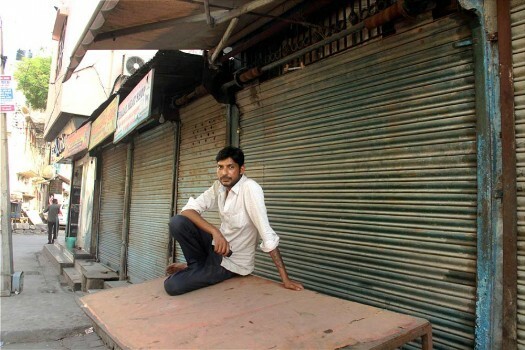 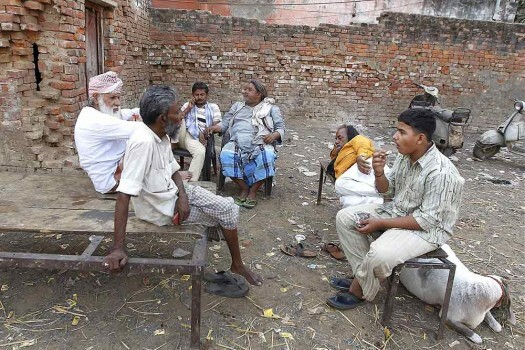 Meat traders sitting desolate near a shop in Allahabad during their ongoing strike. 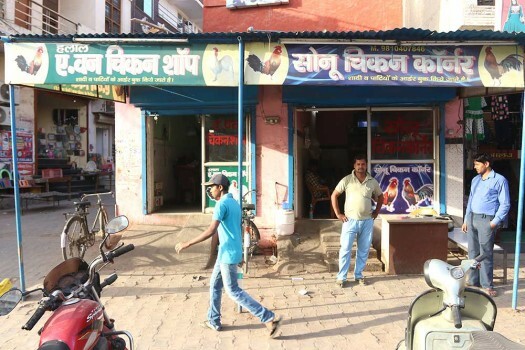 Closed Meat Shops by Shiv Sena workers at Rajiv Nagar, in Gurgaon. 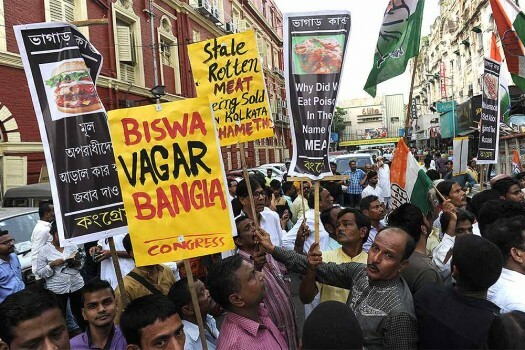 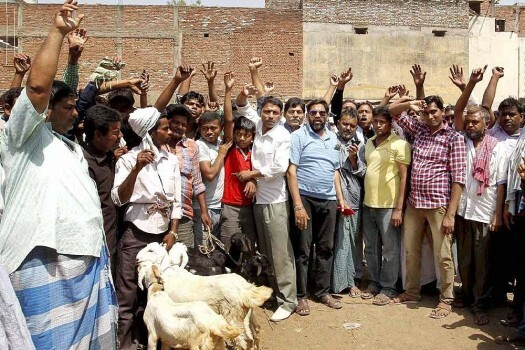 Meat traders shout slogans during a strike over demand to reopen shops at goat market, in Allahabad. 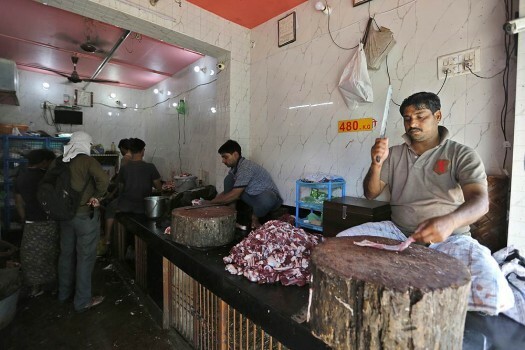 A man chops meat at a meat shop in Varanasi, Uttar Pradesh. 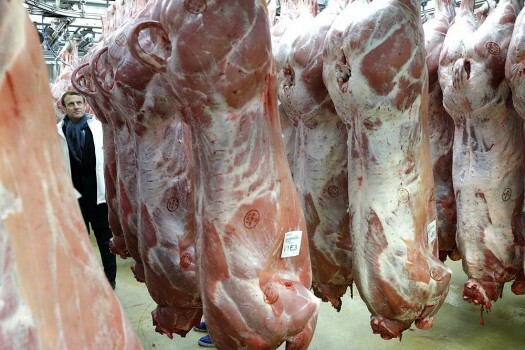 Uttar Pradesh State is running out of meat, with the government cracking down on illegal slaughterhouses and meat shops. 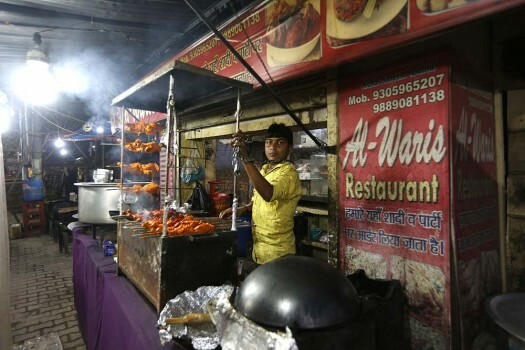 A vendor sells chicken snacks in Allahabad, Uttar Pradesh. 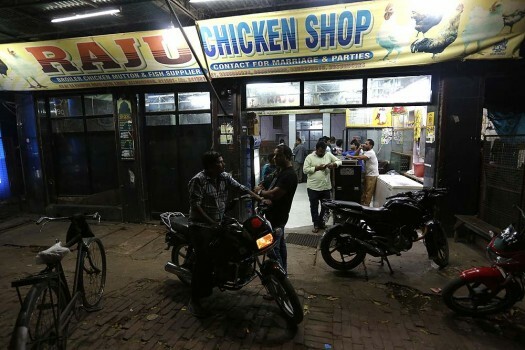 Uttar Pradesh is running out of meat, with the government cracking down on illegal slaughterhouses and meat shops. 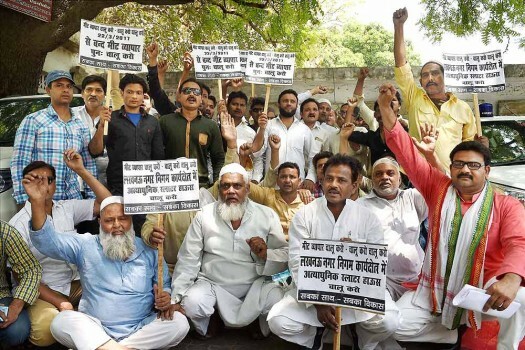 A bench of justices observed that the state and civic authorities could not stop merely at registering FIRs and invoking the legal provisions regulating the slaughter of animals and sale of meat. 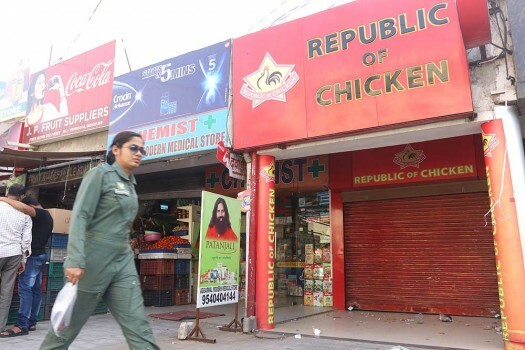 50 per cent of the shops are already closed amid fears of clashes as such exercise is launched every year around Navratri since the BJP came to power in 2014 at the Center and in Haryana. 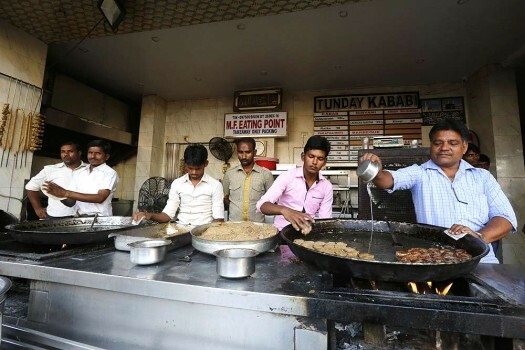 Asked whether banned meat was served, the police said, "We have sent the hooves for forensic test and can confirm only after receiving a report." 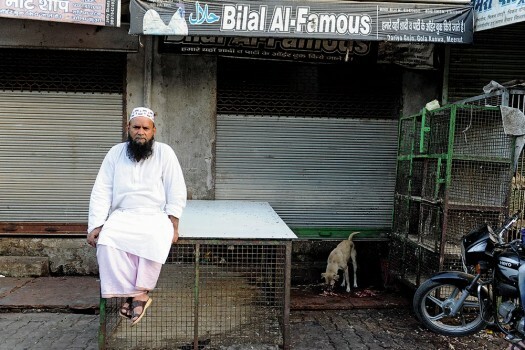 "One will have to face consequences in case he does not follow instructions,"